St Lawrence's Church, Carlton Miniott is a part of the Benefice of Thirsk Parish. Services are conducted by the Clergy, Team Rector: The Revd Canon Richard Rowling; Assistant Curate: The Revd Graham Bowkett, and Readers: Bob and Pauline Sidgswick. A coffee morning is held on the third Wednesday of each month in the church. This is a social occasion for people of all ages to meet for a chat and to enjoy a cup of coffee and a biscuit. Everyone welcome. There are services at 10.30am (with Sunday School) and 6.30pm each Sunday, with opportunities to meet informally. Children's and youth groups meet on Thursdays at 6.30pm and 7.45pm respectively. 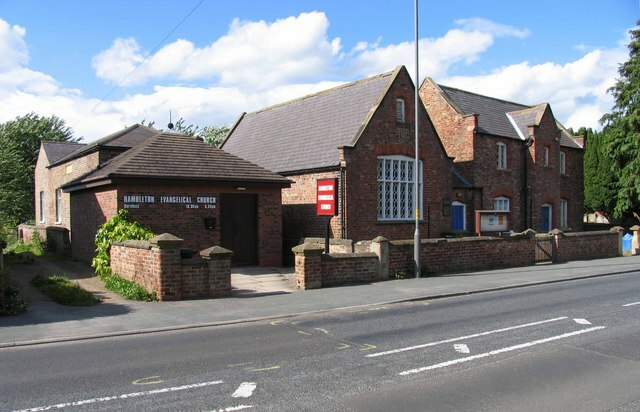 Hambleton Evangelical Church has occupied its current site in the western end of Carlton Miniott since 1976. The church is made up of ordinary people ranging from a 1 year old to a 90 year old! We meet on a Sunday at 10.30 am. and at 6.30 pm. During the morning service the children, age up to 11, get together to have their own Bible stories, quizzes and craft activities, while the adults stay in the service. There are a variety of activities that take place each week during the school term time. Each Thursday evening we hire the Thirsk Community minibus and collect children aged 5 to 11 for an hour of Bible stories, games, refreshments, craft and singing. We return the children to their homes at 7.30 pm. At 7.45 pm. The 12 -18’s meet. Activities in the past have included archery at Carlton Lodge, duck racing at Osmotherly, or catapulting hard boiled eggs! It is an opportunity for young people to get together in a safe environment and enjoy themselves. Each evening concludes with refreshments and a lesson from the Bible. Interested? Why not come along? Everyone is very welcome. The Carlton Miniott WI meet at The Old Red House on the 2nd Tuesday of the month. At most meetings there are speakers covering a wide range of interesting subjects & visitors are very welcome at all the meetings. For further information contact Pat Tearall on 01845 523765 & any ladies wishing to join us please ring Sylvia Banks on 01845 522748 for further details. Thirsk Bridge Club meet each Monday and Tuesday at 7.00pm (for 7.15pm Start). 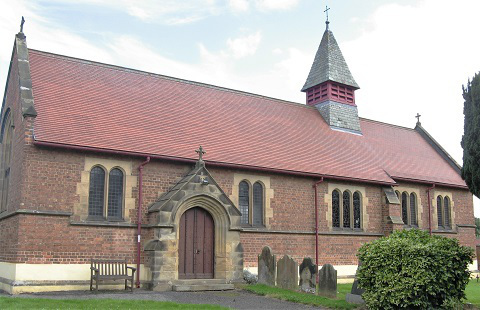 The venue is The Methodist Church St James’ Green, Thirsk. Visitors are always assured of a warm welcome. An evening of bridge is £2.50 for members and £3.50 for non-members.Tea and Coffee making facilities are readily available. Carlton Lodge specializes in adventure, learning and discovery for children and young people, right in the heart of glorious North Yorkshire. Their range of indoor and outdoor activities boosts self-confidence and team working skills by focusing on communication, planning and creative thinking. Carlton Miniott Playing Fields Association is a registered charity which administers playing fields situated at the junction of Carlton Road and Sandhutton Lane.